What are Technology Readiness Levels? | Mentor Works Ltd.
What are Technology Readiness Levels (TRL)? HomeBlogBusiness ConsultingWhat are Technology Readiness Levels (TRL)? Businesses conducting product development and commercialization activities often refer to a nine-point Technical Readiness Level (TRL) scale. This scale helps categorize development stages which is helpful to define project scope, progress, timelines, and resource requirements. The TRL scale is a critical project management tool that helps businesses keep track of activities and communicate progress between internal and third-party stakeholders. The TRL system measures a technology’s maturity, from Level 1 (Concept Evaluation) to level 9 (Successful Deployment). Each of the nine levels demonstrate a clear milestone in the technology development project where significant activities are performed. While some stages aren’t applicable for certain projects, most research and development projects will pass through each of the nine levels until it’s been successfully integrated into the market. Technology readiness levels are an important concept to understand for many reasons, but one of the top ones is that they can help you identify and apply for government funding programs at variance research stages. Many research grants and development funding programs use TRL as an eligibility component meant to pinpoint technologies at precise stages of development. Funding then helps to progress the innovation to a higher stage of development. This guide further explains each stage of the TRL framework and identifies government funding programs to correspond with early-stage research (TRL 1-3), development (TRL 4-6) and commercialization (TRL 7-9) projects. What is Your Project’s Technology Readiness Level? Technology development is not a linear process. The TRL system recognizes this, suggesting that projects may address some levels more quickly than others, or may skip some levels entirely. Considering that it takes this uniqueness into account, TRLs apply to most projects that face some degree of technical risk or uncertainty. 1. Concept Evaluation The translation of scientific research into applied research. This is mostly exploration of a technology’s basic properties. 2. Technology Evaluation The study of how technologies could be applied in the market. This is the point where the project’s direction takes form. 3. Proof-of-Concept Research At this phase, active R&D begins and a technological solution is developed. This stage looks at the critical function of the technology and asks, “what is required for this technology to meet the application’s requirements?”. 4. Early-Stage Prototype Development The integration and testing of basic components in a laboratory environment. This can be done multiple times during technology development to ensure that the technology is progressing toward its desired purpose. 5. Late-Stage Prototype Development The integration and testing of basic components in a simulated environment. This is done following lab testing and usually involves accessing better testing equipment to identify potential issues. 6. Simulated Environment Pilot Upon completion of the technology’s design, final testing can commence. This will provide data critical to the commercialization phase where the technology is applied. 7. Operational Environment Demonstration Using the prototype in an operational environment to understand how it performs in non-simulated testing. Further development may be required to address performance issues. 8. Final Testing and Evaluation Upon further testing, the technology has proven itself to be successful under normal operating conditions. 9. Successful Deployment The application of a technology, in its final form, in real-life conditions. Canadian government funding programs are available to support research and development projects are each stage of technology readiness. While most funds are in place to accelerate the further development of proven innovations, there are still some grants to help initiate the process for novel concepts. TRLs are typically used as eligibility criteria for government funding programs. Since each program maintains a specific focus, it usually expresses its ideal applicant and tailors who applies for the funds. Understanding your TRL not only helps find these government incentives, but it can also help your business strengthen its application and increase its likelihood of success. Innovative Solutions Canada (ISC): Promotes innovation challenges where federal government departments require technology-based solutions. Participants start the graduated, three-phase process with proof of concepts that meet the needs of the federal department. Up to $150,000 is available for eligible applicants at the proof of concept phase, and more funding can be awarded to businesses as they progress the innovation to prototype development, and to commercialize the product. Innovation for Defence Excellence and Security (IDEaS): Similar to ISC, the IDEaS program offers funding to develop innovative technologies that have an impact on Canada’s Armed Forces. Innovators can propose early-stage technologies or concepts that would solve a current problem, then receive funding to advance the product through to development, testing, and procurement. Going Global Innovation (GGI): Supports the formalization of technology development partnerships with international partners. Canadian innovators can recover up to 75% of project expenses to a maximum $75,000 for travel and meetings. Canadian International Innovation Program (CIIP): Supports the collaboration of technology developers from Canada and innovators from one of six other participating countries. Canadian government grants can reduce project expenses by up to 50% to a maximum $600,000. NRC-IRAP Research Grants: The Industrial Research Assistance Program (IRAP) helps innovators develop innovative products and processes by reducing labour costs for employees and contractors working directly on the research project. There are two streams of NRC-IRAP research grants, including the IRAP Accelerated Review Process (ARP), and the IRAP Mid-Size Projects stream, which provides up to $10 million in innovation funding. NSERC Engage: Supports research collaborations between Canadian businesses and academic institutions. Engage grants support research partnerships, lasting up to six months, where a research professor and their team of post-secondary researchers can contribute to project deliverables. Each four to six-month project may receive up to $25,000 in research grants and project length can be extended if necessary. NSERC Collaborative Research and Development (CRD): Likewise, NSERC CRD grants provide the capacity to support long-term collaborative research and development projects with a Canadian academic institution. Businesses may receive grant funding and research support for a period of one to five years. This research may receive government grants worth up to 50% of eligible expenses to a maximum $200,000 per year. SDTC Sustainable Development Technology Fund (SD Tech): Supports collaborations that further develop technologies and bring them closer to commercial readiness. Innovators can use the funding to accelerate the development and testing of a technology, ultimately bringing it to market faster.SD Tech provides grants of up to 33% of project expenses to a maximum $15 million. Many government funding programs for late-stage commercialization activities are available provincially. To see commercialization-focused funding programs available in your region, please consult Mentor Works’ guide to research and development funding programs. Canadian innovators have can offset a significant portion of research and development costs through government funding. The key for most businesses is understanding what exists and how to get started. Fortunately, using technology readiness levels can help identify research grants and strengthen your funding proposal. 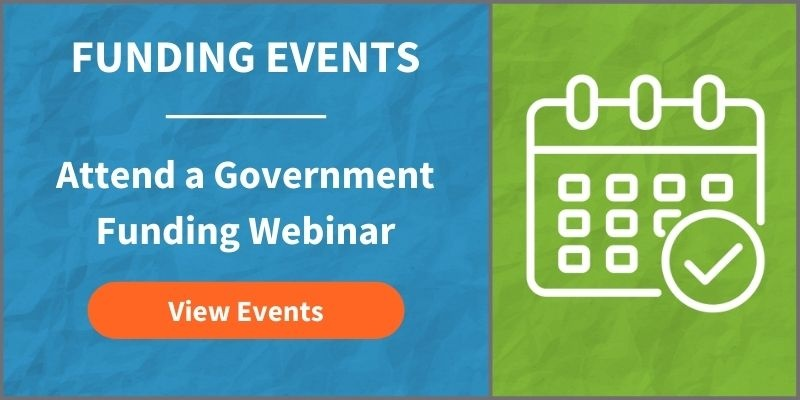 To learn more about specific government funding programs for R&D, please register for an upcoming Research and Innovation Funding webinar.